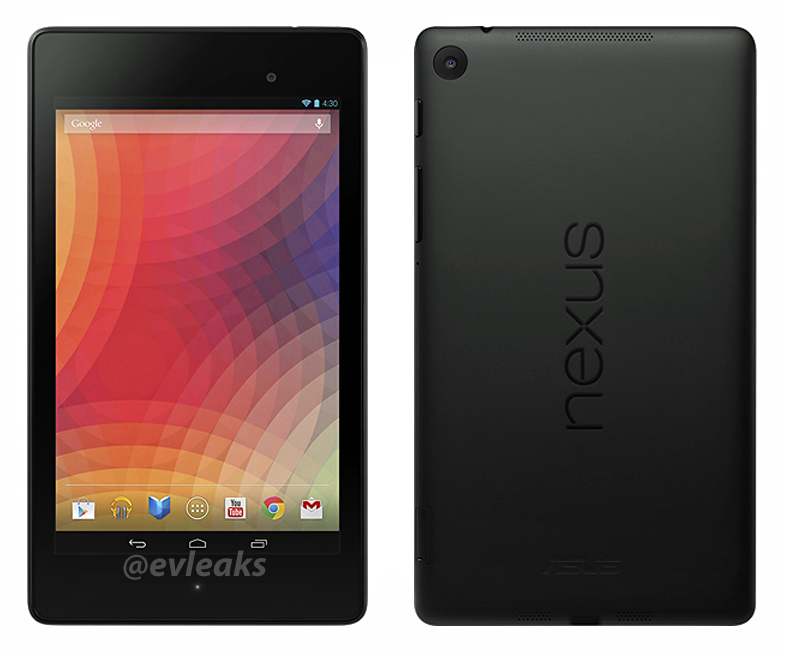 Another leak from @evleaks shows the new Nexus 7 in a detailed press render, and the image confirms our earlier exclusive pictures and video of the coming tablet. The matte finish back with the Nexus logo in a landscape format, as well as the large rear camera opening are on board. If you have a good eye, you can also see the notification light on the bottom bezel around in the front. We're absolutely expecting to hear and see everything there is to know about the Nexus 7 sequel this coming Wednesday (July 24) where Android head Sundar Pichai has a breakfast event planned for the press. We'll be there, and be bringing you all the news live as it happens. For now, bask in the Nexus glory this press render delivers.